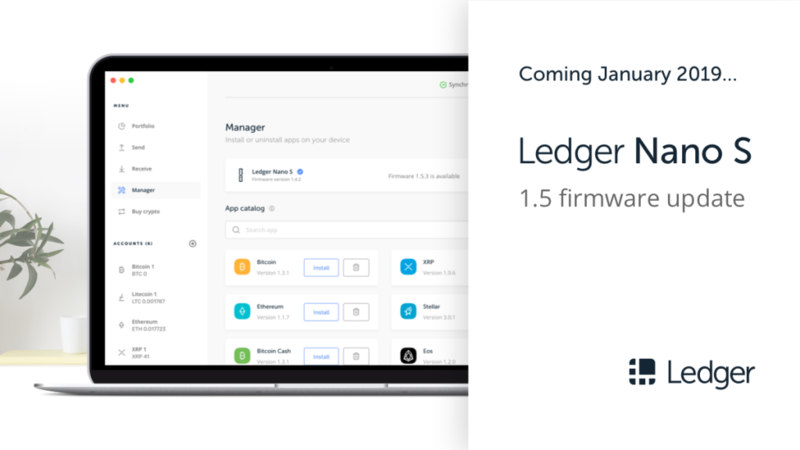 We’re thrilled to announce the upcoming release of the Ledger Nano S firmware 1.5, which brings new cryptographic algorithms, security improvements and additional features. Ledger aims to provide its users with the most flexible platform, supporting a maximum number of blockchain and cryptocurrency projects. The upgrades included in this update will provides more possibilities for third party developers to bring support for their favorite crypto assets by adding several specific cryptographic algorithms which were previously missing. The Donjon security team has been relentlessly attacking the Ledger Nano S and evaluating its software stack. This has led to some major improvements in code and architecture. Additionally, the 1.5.5 firmware version is the first release to have been fully evaluated against the CSPN certification. CSPN stands for “Certification de Sécurité de Premier Niveau” (First Level Security Certification) and is issued by ANSSI, the French National CybersSecurity Agency. We expect the CSPN certification of the Ledger Nano S to be issued in the coming weeks, and we’ll come back with an announcement, including more details on this important milestone. Application management has been improved so that free space is recovered when an application is deleted. This solves an issue where sometimes it was necessary to remove all applications to reinstall one. Stay tuned for the full release of the Ledger Nano S 1.5 firmware update.